Welcome to my giveaway post! Michelle at the Quilting Gallery is celebrating St. Patrick's Day with a Blog Hop Party and I decided to join in the fun. 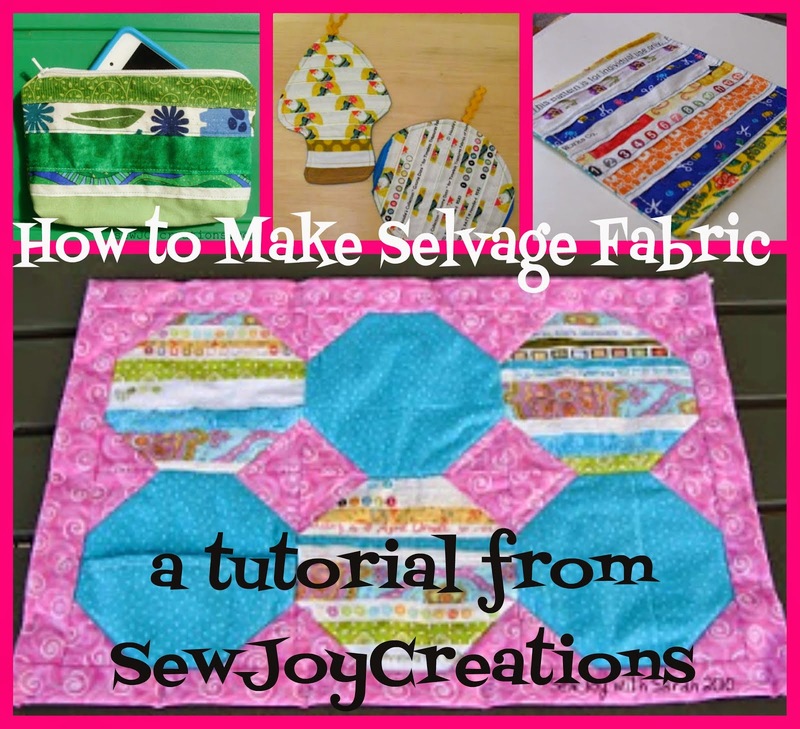 These scraps are of varying sizes and fabric styles. Not much pink or red in here! The smallest squares are 2 inches, some strips are 1.5 inches, most pieces are bigger as you can see from the photo. Lots of variety! This spring cleaning actually inspired me to make my first video! I will ship my parcel of scraps international! PLEASE MAKE SURE I CAN CONTACT YOU THROUGH EMAIL. please include your email in your comment. EDITED MARCH 25:The Giveaway is open until 10 pm EDT Fri. March 23rd. now CLOSED. Thanks to all that commented. Winner has been emailed and will be announced soon. For each of the above, please leave a separate comment telling me what you did. And there's more blogs to hop to - click the link to Michelle's list to hop away! 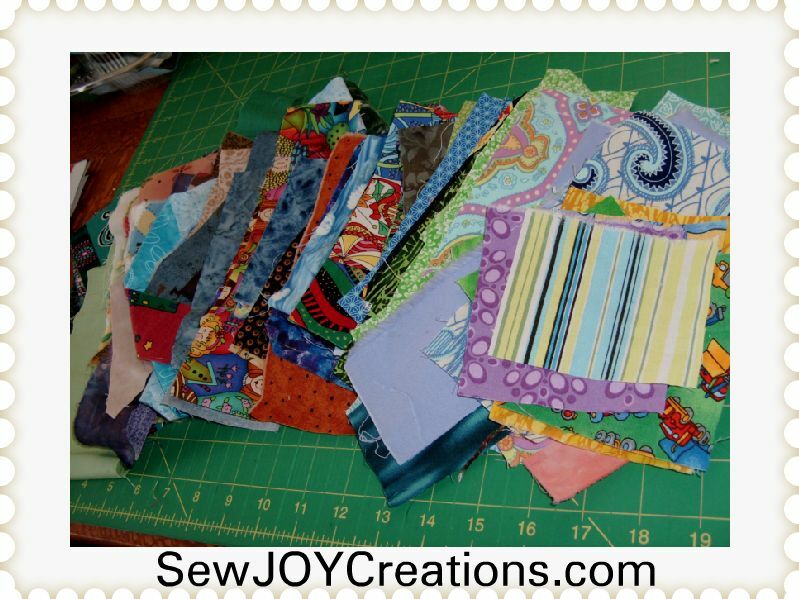 I love scraps and can envision that it was me standing at my cutting board sorting my scraps. Except that I sort by colour. I like your video. It was fun to hear your voice and a novel subject. Thanks for a chance to win your scrap giveaway. 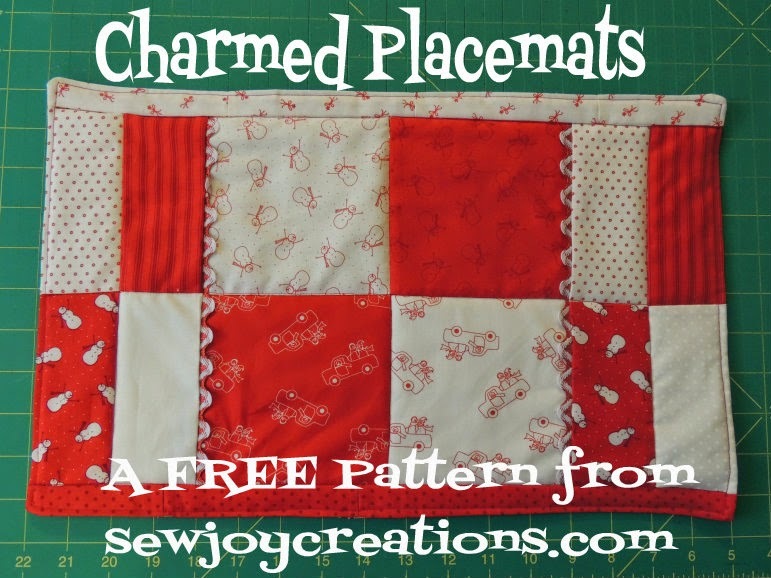 I love to watch tutorials - thanks for sharing your scraps, would love to win them!! I am already a follower - thanks! I like video tutorials - thanks for the chance to win some scraps! I love scraps and love videos. 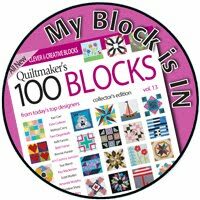 I feel like I am a pretty accomplished quilter but it is always fun and informative to see new ways to do things. It's always so much fun to play with someone else's scraps! Thanks for the giveaway! Lately I've noticed I'm low on scraps! So I either have to win this or get busy and create some scraps for myself! Thanks for the chance! I'm a follower and enjoy learning no matter how it's presented! Thanks for offering the scrap giveaway...I can always use more scraps! 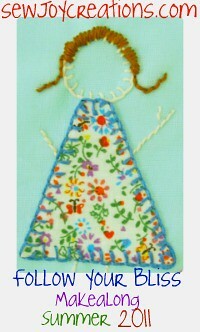 It would be nice to watch a video on needle turn appliqué. But if you know other methods of appliqué that would make a great video as well. I sadly do not watch much video's mostly don't have time for it too busy at work and other. But I have sat and watched a couple FMQ videos though I fast forward though some of it. I like (really need) to watch tutorials. Thanks for the chance to win. 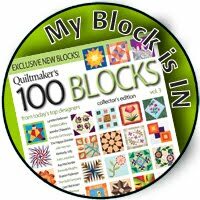 I like any videos related to quilting. Tutorials and how to's are great! I loved to check on video with step by step instruction.. Thanks for offering your scraps to us.. I am very new to quilting and haven't actually watched many quilting video's. I find them a little over whelming as there is so much of the basics I am still learning. Scraps are my very favorite thing - almost better than yardage... isn't that weird??? I would LOVE to win your giveaway!! I tend to watch videos to learn how to do one specific thing. I am more comfortable with written instructions or pictorials for step-by-step, but I haven't watched enough videos of full projects to really judge. I also began following your blog through GFC - Thanks for the extra chance to win (did I mention I really love scraps - LOL)!! I have signed up to receive your newsletter. thanks. I tend to watch videos on techniques. Thanks for the giveaway. Videos about FMQ. I'm trying to learn. BTW I love scraps - I collect them LOL. I love working with scraps. This would be so cool to win. I like to watch videos on techniques mostly. I watch a lot of you tube for that reason. I have lots of room for scraps. I like video's of techniques for the most part. Thanks for the giveaway. I love the Tutorials the most. I am also a follower of your interesting blog! i watch the tutorials and how-to's that i think will help me to do something better than the way i do things. i watch alot of them ... sigh. i'm waiting towatch your vid - it's telling me to come back later to watch. i follow your blog via your newletter. got my turn at your vid on scraps! i paw through my bins for my applique but now will do some sorting! liked the looks of your scraps and your way of sorting. good video! I'm probably going to be disqualified for saying I never watched a quilting video. I just can't remember what happens in videos, like ooking shows, floral whatevers (the kind you get on TV). I love my paper versions that I can prop up on my bookstand and then turn the pages to my speed. But maybe I should start watching videos. I watch a lot of tutorial videos, most often from the Misouri Star Quilt Co. and Leah Day. I liked your video. I love fabric scraps! I like videos. Love your scraps, what I could do with them!!! I am following your blog with emailed blog posts. I love scraps! I like technique videos. Thanks for the giveaway! I like to watch how tos on video, it is easier to watch than to read very often as I am quite a visual learner. I have signed up for your newsletter and am waiting to read my lst newletter from you. I enjoy watching videos because I feel they are a learning experience. You can learn so must just by watchin these free videso. 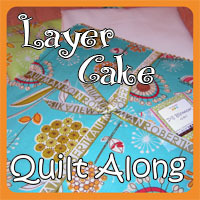 It doesn't cost and what a better way to learn and become better at quilting. This is a very rainy and now snowey and your blog just helps make the blues go away, for now. 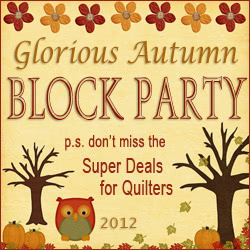 I am having a wonderful time visiting everyone on this Blog Hop Party. To have a chance to win a whole lotta scraps is like a dream come true for me. I would be glad to be the new owners for the scrap collection. I don't tend to watch many viedos, but when I do they are usually tutorials. I like tutorials the most. I watch more technique videos than everything else. For tutorials, I'd rather have pictures and text. I like to watch videos for techniques and tutorials. Thanks for the giveaway. I love any tutorials, but the ones I really love have new ideas for doing things, like new ways to chain piece. I like videos that show me new techniques. Like your video and tutorials. thanks for the great giveaway! I am a new follower in G. reader . thanks! I love tutorials. And scraps. Thanks for the chance to win. I love them all! Thank God for the internet...I have learned so much from all the generous people that post videos! I like tutorials. They are always inspiring. I love scraps and love to create "something" from "nothing". Thank you for the chance to win! I like to how how to's and tutorials and thing that can help a newbie like me is most welcomed! Great giveaway! I love scraps!! I signed up for your newsletter. I noticed in your video that all your scraps were already cut into squares, rectangles, or circles.........mine are a mess! I guess before the sorting process I'd better cut them into shapes first..........thanks for the chance to win those too cool scraps of yours! I like the tutorials with lots of pictures and the "how-to's" thanks for the opportunity to win. 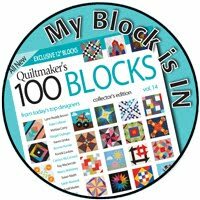 Hi - I would enjoy tutorials with techniques rather than "this is how to make 1 quilt block". Like - a series of short tutorials that list all the ways to do flying geese, or binding. I love scrap quilts!!! I have been trying to collect scraps--thanks for the chance to win! I signed up for your newsletter. I liked your video! I love seeing how others organize. I have trouble letting things go..thanks for the tips! I have been keeping some smaller pieces, but I think I am going to let them go. I am also a new follower! Thanks for the chances to win! Love scraps. Those look like lots of fun. I like how tos and how I dids. Thanks. I love videos that are tutorials. Thanks for the giveaway chance! I am a new follower. LOVE scraps! Thanks for the giveaway chance! I would like to take those scraps off your hands! Thanks for the chance. I signed up for you e-mail feeds and I really like tutorials. Thanks for being so generous. Scrappy quilts are my favorite! :-) Thank you for giving us a chance to win! I love tutorials-- it's great to be able to see a project in completion and be able to recreate it for yourself! I've never wathced a quilting video. I like to watch Fons & Poret on PBS. I like how to videos. I love tutorials and how-tos. With the access of Internet these days you can figure out how to do almost anything. I like tutorials. Thanks for the chance to win! I like video show and tell. 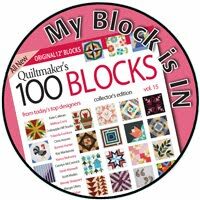 Thanks for a fun giveaway...I see that you are part of Block Lotto, those scraps will come in handy for all of Sophie's great patterns! Tutorials and tips are really helpful. There's lots to learn on the Internet. Your scraps look wonderful. I love scraps! I love all the scraps. Thanks for sharing them. The thing that I like most are tutorials.Sometimes I just need to see how things are done and these really help the most. 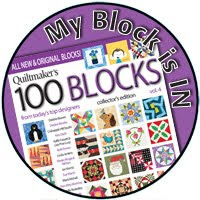 Hi - I like tutorials on anything of interest....most recently, how to applique and embroider blocks. I love scraps! I'm saving to make a scrap quilt and I'm going to try and not have any repeats. Watched your video and you are right. You can't be in a lovie-dovie mood or nothing gets thrown away. I remind myself as well to clear out so I'll have room for the new. Videos tend to make my computer freeze so I don't watch too many of them, but I love photo tutorials. I can print them and keep them in my sewing room to follow. 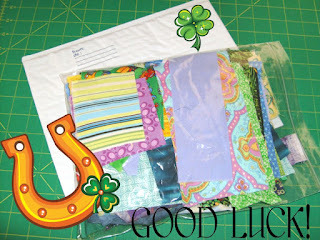 Great scraps - thanks for the chance to win! I like tutorials the best. Thanks for chance to win some of your yummy scraps! I am a new subscriber to your blog posts! And I am a new subscriber to your newletters. Can't wait to spend some time reading both! I like both technique and tutorial videos. Thanks for joining in the Blog Hop Party Giveaway. I like to watch the tutorials. 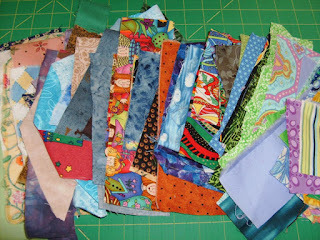 And I certainly love scraps for my hexagon projects. Thank you for counting me in! I signed up or your newsletter. I like technique videos. Thanks for the giveaway! Just started following you via google connect and email. Thanks for the giveaway. I haven't watched too many videos or tutorials. I love peeking thru my many books for inspiration and how to's. Thanks for the giveaway. I like video tutorials. Occasionally the pics in a blog post tutorial don't really show how something is made and the video would. Thanks for the great giveaway, scrappy quilt here I come! Prefer technique with easy instruction! Thanks. Scraps are a great giveaway. I could use them. For videos, I think I like/watch howto's the most. Thanks for the giveaway! I like tutorial videos the most, but I'm not terribly particular...so long as it's about quilting. Thanks for participating in the blog hop party. And thanks for the great prizes! Oh, and I'm a follower and am getting your newsletter! I know I'm late in commenting... life's been busy.... but I love the egyptian fabric! can't wait to see what you make with it!